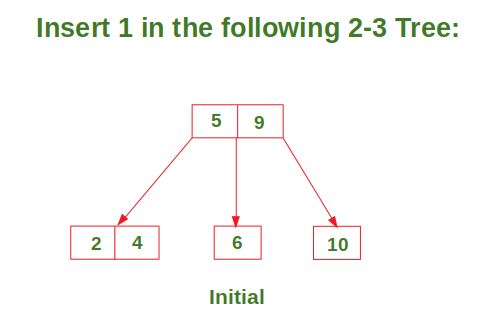 2-3 tree is a tree data structure in which every internal node (non-leaf node) has either one data element and two children or two data elements and three children. 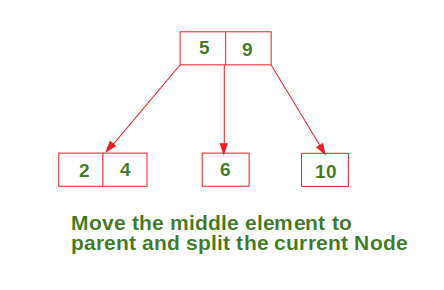 If a node contains one data element leftVal, it has two subtrees (children) namely left and middle. 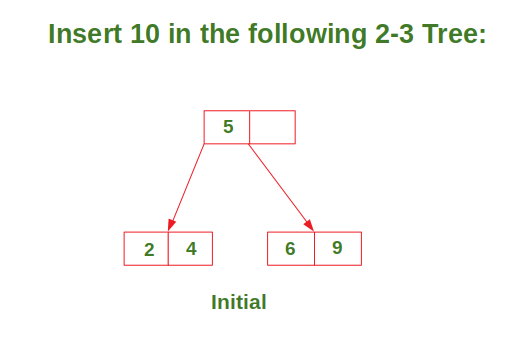 Whereas if a node contains two data elements leftVal and rightVal, it has three subtrees namely left, middle and right. 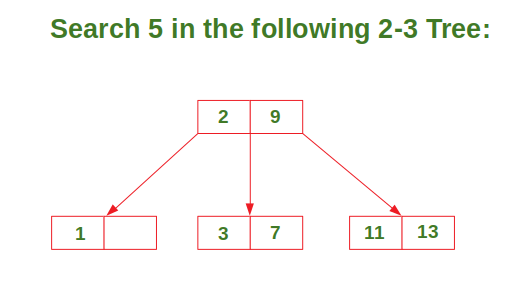 The main advantage with 2-3 trees is that it is balanced in nature as opposed to a binary search tree whose height in the worst case can be O(n). Due to this, the worst case time-complexity of operations such as search, insertion and deletion is as the height of a 2-3 tree is . If T is empty, return False (key cannot be found in the tree). 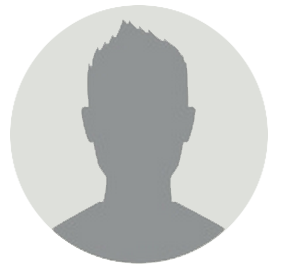 If current node contains data value which is equal to K, return True. 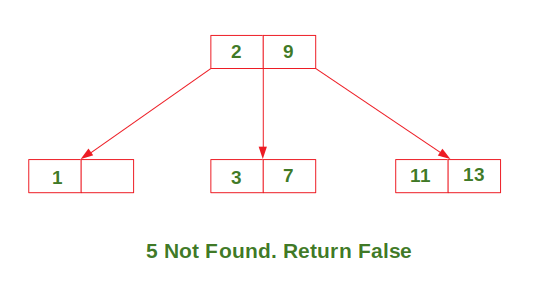 If we reach the leaf-node and it doesn’t contain the required key value K, return False. 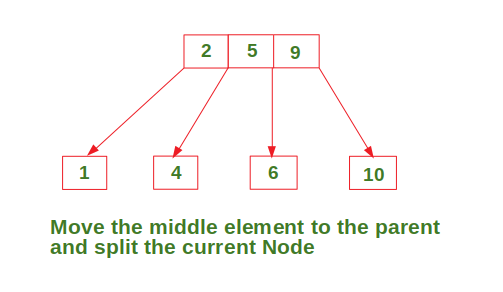 If K < currentNode.leftVal, we explore the left subtree of the current node. 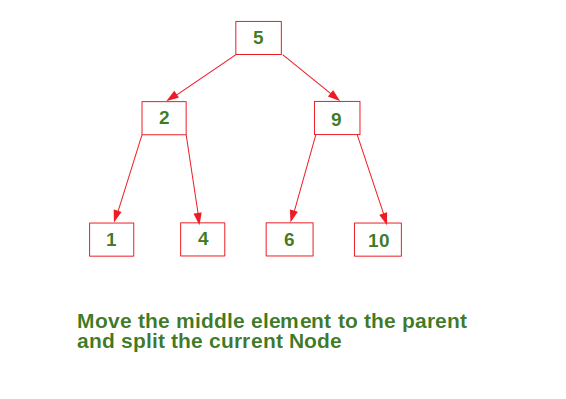 Else if currentNode.leftVal < K currentNode.rightVal, we explore the right subtree of the current node. 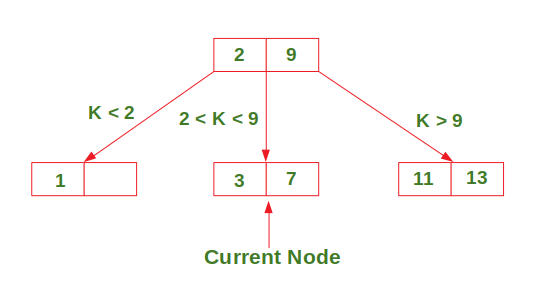 Else if K > currentNode.rightVal, we explore the right subtree of the current node. 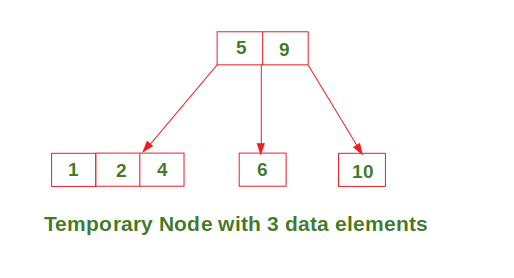 Case 2: Insert in a node with two data elements whose parent contains only one data element. 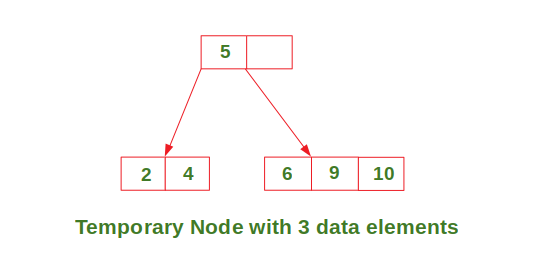 Case 3: Insert in a node with two data elements whose parent also contains two data elements. last_page Is downloading YouTube videos legal?